Boat modelling has always taken a huge following of enthusiast and unique people who have made this activity their passionate hobby. 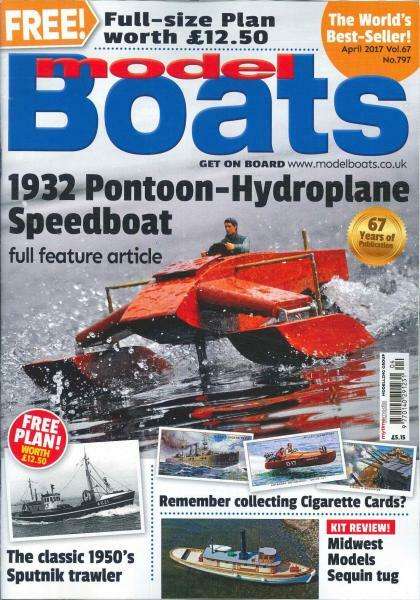 Buy a single copy or subscription to Model Boats magazine. If you have ever tried to model a boat that not only bears striking similarities to the real life things but also floats and works admirable than you will know that boat modelling is not a easy thing. Nonetheless, if you are a boat modeller yourself or if this is something that you have always wanted to try, than Model Boats magazine is the one magazine that contains everything you would ever need. Sometimes you might find it hard to accurately model your favorite styles of boats from history to present times, but with Model Boats magazine you are given an in-depth look into the many aspects that go into what it takes to successfully model any type of boat. Love Boats, Love Models, whats not to love!